APPARENTLY, THE IDEA OF A HOLIDAY FOR ME IS FAST ERODING! Retired General Buhari, we – the underserved 99.9% of Nigerians – hail you. My fellow compatriots, I salute una. This is your time, General, OUR time. May the gods that finally made the stars align, that makes this tantalizing dream a rainbow so low as within our reach, grant 2015 as Nigeria’s Year of Destiny. But we have our part to play; a massive one, at that. We must not let this chance slip. Nigerians must say, ‘never, again’ to the politics of brigandage, the politics of buying and selling our souls in the “politics of no principles” that has allowed charlatans, rogues, out-and-out thieves to appropriate our collective voice and our collective wealth. EFCC-returnees off to Senate, House of Reps? Looters-turned hoteliers, ministers-turned billionaires: go out massively in February and show, as Nigerians once did with Abiola/Kingibe ticket that we are no longer sold on Moslem/Moslem ticket or whatever and send godfathers where they actually belong. Decide on those whom you also know as best for the well-being of Nigeria and her people, a decision that should see you not vote along any party line because, pardon me, the parties are filled with mostly very selfish people. Now, as in 2011 when I first came out boldly for Buhari in THE NATION ON SUNDAY, I will cast my single vote for retired General Buhari. Top: Jonathan-Administration’s “Nigeria” Police assault on the National Assembly, 2014. 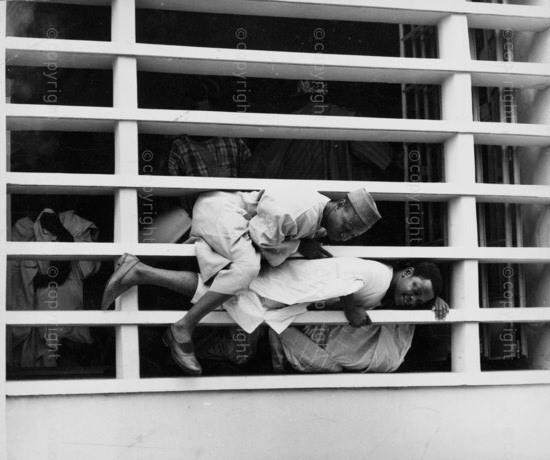 Below: Tafawa-Balewa’s Jackboot & paternalistic overbearing police assault on Western Nigeria’s House of Assembly, 1963. Let’s go, my fellow compatriots. We have a date with destiny. May 2015 be Buhari’s Year; may it be OUR year, Nigeria’s Year. Having been in the writing-for-public-consumption business for a total of almost 20 years, albeit with a break, I ended my weekly essays for a Nigerian newspaper last Christmas. I knew – and did inform readers – that it was not yet a final goodbye to writing. 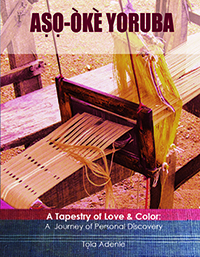 Last June, I put together the idea for this blog with encouragement from one of my kids. She had gone through several copies of Emotan, the now rested women’s lifestyle magazine that I published and edited from 1977 to 1984, and thinks quite many of the materials need to be aired in a permanent online home as a contribution to the evolution and growth of lifestyle publications in Nigeria. She got the blog ready for me as far back as June last year. Even though I continue to be an avid devourer of magazines, including lifestyle ones, I thought I was not interested in doing more blogging than I do in two Nigerian newspapers and an online political forum, Sahara Reporters at the moment. She convinced me that my participation in those online sites would be even enhanced while at the same time fulfilling the primary goal of sharing the old magazine materials and ideas with a new generation. What finally did it for me is Nigeria’s coming elections which I believe need the opinions of all of us who have written about the political debasement of the last twelve years since the return of “democracy”. I sent in my opinion on why I think of all the candidates, retired General Buhari offers the best hope for the country and have been amazed at responses from readers of my old essays who reached out to me to speak out more on the elections, that I stopped writing “at the wrong time”, etcetera. There are just a couple of weeks left but hundreds are already dead in electioneering campaign violence; vote rigging are already at advanced stages in various parts of the country and the paid foot soldiers of those who hold the country by the jugular, are using ingenious means like opinion “polls” to confuse people. Whoever becomes president – I’ve avoided using the word “wins” – cannot bring much change to people of my generation although it would be wonderful to live the rest of our lives in a just and orderly society. The country needs a leader who can bring hope to the youth of this country; a leader who can harness the incredible human resources of an energetic people into purposeful direction; a leader who will see to the building of new societal institutions and strengthening of existing ones; a leader who will ensure that the enormous petroleum wealth that the country generates would be used for her development and not just for top civil servants and politicians, and a leader that would ensure that those who break the law: looting, rigging and corruption of any kind, would have to face justice. There are enough laws on the books to handle all the criminal behaviors that presently pass as political rascality. In the skewed “federalism” that Nigeria operates, the presidency is very vital and its holder would dictate what happens at other levels. In Nigeria today, local government chairmen steal hundreds of millions of naira with nary a slap on the wrist. The judiciary has become cash-and-carry; high court judges lobby – yeah, bribe – to get on election tribunals because it’s a veritable cash cow. Retired General Buhari – warts and all – stands heads above everybody else in the presidential race. He is stern, might have put drug couriers to death, clamped down on the press, etcetera while military head of state but he has the legislative arm to contend with this time PLUS, he’s the only one who can stare the corruption monster down and slay it. Nigeria’s greatest impediment to greatness, we are all agreed, IS corruption. Welcome to my blog. After the elections, I should start operating the blog as hoped and planned. The home page will be jazzed up but will reflect its antecedents! London, England, March 30, 2011. This summarises and says it all. May your prayer be granted. In fact I am really thrilled and happy the more when I read his acceptance speech. The speech connotes the formation of a collective and all embracing government and not a one man show. I hope we have a better breath of air come 2015. Meanwhile all hands must be on deck to have total deliverance of the masses from the shackles of poverty. Party loyalty aside I will be casting my vote for Buhari. We need to deal with the systemic and unpunished corruption in the government. I believe he’ll do a far better job of that than GEJ. Thanks for weighing in on this imply matter. Of course there must be punishment for all the brigandage that has gone on for so long since the return to civil rule. Thanks for your contribution. Yes, we all must play our part, and it’s ‘Amen’ to all our prayers which must be accompanied with hard work that will be aided by tough decisions. HEADS. …AND THE BROOM THAT SWEEPS ONLY THE SURFACE LEAVING A VERY DIRTY UNDERNEATH . IAM CONFUSED!!! JUNE 12, … 12 2/3…. Very true, indeed! There’s no ideological divide between the two major parties, only mostly self interest. We must, however, not become so cynical as to end up throwing the baby away with the dirty bath water. I love your analogy. Let’s get Buhari elected and eac of us can decide on the lower elections. General Buhari, eh? You may be right, from what I know of him (admittedly not very much) but what of his fellows? Within his cadre, does not the specter of yet another Goodluck dwells? Thanks, Our dear brother from across the seas, but flesh and blood all the same! No, never. Buhari is like that lone shining star that has no equal. Listen, man, this retired General and a one-time Head of State lives the most middle-class life – perhaps not much better than me(! ); he’s even been known to open his own gate; has no foreign account and lives austerely. He’s already 70 and this is one man I can swear by, and that, coming from me who was one newspaper woman that was particularly against him because of his military days as well as his wanting to put his Muslim religion as NIGERIA’S religion. Corruption is Nigeria’s Enemy Number 1, public or private. The nonsense really has to stop or else the last hope for Africans chance of positioning ourselves well in the world can be buried. If Nigeria was not the tragedy it is, African-Americans, Haitians – all blacks everywhere – would have been able to hold their heads high and New Age KKK-ers arrayed in police garb would not be so reckless in their act. “Look, blacks cannot manage anything, including their own God-given resources: the Nigerias, the Zimbabwes … who cares about the life of a BLANK in the ghetto … “. Would that not be a racist refrain that is leading to the slaughter of young males these days? Those who really know him – his “fellows” – are afraid of him which was/is why they are all running from pillar to post, even among his party “fellows” some of whom would have been glad to see his back but the hues and cries from the public was a whole lot; so we’ll wait, hope and see. I say a BIG AMEN. My single vote is for GMB. God spare our lives. Great, too, hearing from you again. You, me, everyone of us who TRUELY believe in, and love Nigeria, must go out there and work for it. Convince those who may still be steeped in the distant past. It’s not going to be easy fighting the status quo gangs but it can and must be done. My best wishes for Xmas and the New Year.